The month of February in this New Year will be outstanding for celebrating a number of very historic events in our political calendar. The most important date will be the seventh of February 2014, which will be our Fortieth (40th) Anniversary as an Independent State — from 7 February 1974, when we achieved our political independence from Great Britain and ceased to be a British Colony. The next two dates, viz 2 February when the (NDC) National Democratic Congress will be Electing a new party leader, to replace Mr. Tillman Thomas who will not be contesting the party leadership at its national convention; and 19 February, when the Ruling NNP government will be celebrating one year since winning all fifteen parliamentary seats in the general elections last year — for the second time since Independence, and on both occasion under the same Leader, Dr. the Right Honourable Keith Mitchell as Prime Minister. The Fortieth Independence Anniversary is the most important of the three dates in my humble opinion. And those who were in Grenada, like myself, on that memorable date and in the period leading up to the seventh — I am sure they would agree it was a very historic period, and I would add that it is unequaled in the English-speaking Caribbean. 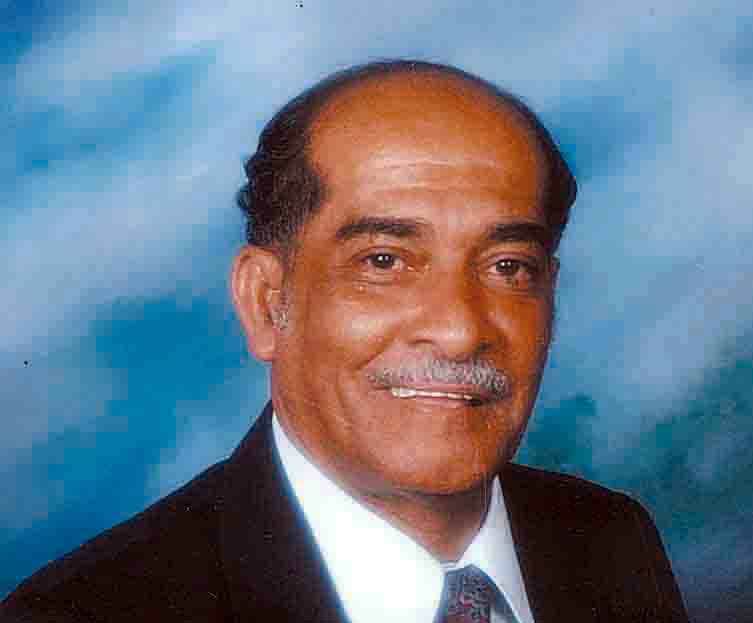 The political leader who persuaded the British government to grant our Independence, was the late Eric Mathew Gairy, who was the Leader of his Labour Party. And the opposition against Independence under Eric Gairy was led by the New Jewel Movement (NJM), headed by the late Maurice Bishop and widely supported by Grenadians in the Tri-Island colony in those days. There were demonstrations in St. George’s for two or three weeks before 7 February, and electricity was off due to striking workers — so that on the night of the 6 February leading up to midnight, on Fort Frederick where the ceremony was taking place to make Grenada an Independent state in the Commonwealth, a Delco [generator] had to be used to provide lighting for the occasion, but the whole process was very brief. And it was from that period that the struggle against “Gairyism” intensified by the NJM — and although we contested the elections in 1976 and lost to Gairy’s party, the struggle continued right up to the Revolution in March 1979, when the NJM seized political power by force of arms. The rest is now history — with detention and mass killings and political prisoners in little Grenada, until the rescue mission by U.S. forces sent in by President Reagan in 1983, to release prisoners from detention and protect U.S. students at the St. George’s Medical School in Grand Anse. 2 February is the date of the NDC convention, to choose a new leader to take over from ex-P.M. Tillman Thomas, who lost his seat at the elections on the 19February last year — when the NDC failed to win a single seat in the current parliament. The then Governor-General appointed three of the NDC losers as senators in the Upper House of Parliament — and the story now is that two of them, Nazim Burke and Franka Bernadine, will be contesting the leadership vacancy at the convention. Many onlookers are predicting that Mr. Burke will be the chosen leader, to rebuild the party to regain power from the NNP in the next four years. Some are also suggesting that it will make a welcome change to have a female leader and Prime Minister — after all, those forty years under the control of male leaders and not very much to show for that. All are matters of opinion and we will see how the membership responds at the convention on 2 February. Whatever the decision of the party members next month — the new leader will have his/her work cut out to rebuild the party, after all the chaos and confusion that badly affected the party — towards the end of its control of power in the last parliament, when two or three of its M.Ps resigned from the government. The party was more or less at a standstill after those resignations — so it was no surprise when the leadership at the time failed to persuade the voters to even elect one of its fifteen candidates to parliament. Whoever the new leader may be, he or she will have a heavy workload in trying to re-build the party — so as to be able to influence the voters to choose the NDC candidates to replace the NNP lot in 2018. And while it is fair to argue that the new leader will have ample time at his/her disposal in the next four years — it is also just as obvious, that the controllers in charge have the same length of time to put their policies in place, and learn from their mistakes. So as we come to that historic month of February this year — to deal with those significant dates of the second, the seventh, and the nineteenth – there should be no denying that twenty-fourteen will be a memorable year in our political history — in the years ahead to 2018 and beyond.